Pink Balloon Events - Service Provider of pink balloon events, engagements events & birthday parties in Mapusa, Goa. Pink Balloon is a full service event management firm based in the party destination Goa, India, that was created by passionate individuals for their love for glamour, color, fun and excitement. Pink Balloon is the vehicle to fuel those interests which blossomed into a fledged enterprise. Our eye for detail and accuracy to meet international standards at economical costs, are one of the core reasons why we get chosen over repeatedly by our loyal customers. Regardless of size and scope, we treat your event like a business with clear strategic goals, defined milestones, and a comprehensive plan to ensure that your event is delivered on time and on budget. 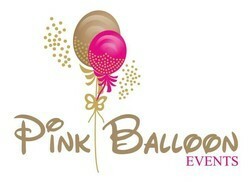 At Pink Balloons,we put our clients first. We learn about your needs, we focus on your challenges, and we plan events to support your goals. We bring a fresh, unique approach to the Event management industry. We are not only party planners, We are strategic event management partners. Laser sharp focus, unparalleled professionalism and exceptional service means clients can trust that their event is in capable hands. As a specialist in event management we will work with you to achieve your strategic objectives and deliver events which make lasting impressions. Our Specialization Engagement Birthday Baby shower Sangeet The above services are customized based on client requirements. Help us know you better where our event managers can assist with customized cutting edge solutions, services & offerings, to turn your event into an experience that you will cherish for the lifetime.